On the FRS website news & an invitation for our upcoming December Season Holiday broadcast. We would be very happy with your participation! Special announcement for Artem's World Music N30! So I am planning something special for N30. singer, group or just a region of the World and I’ll try to do my best! The plan is to produce new show before Christmas 2016! If I’d collect as much different and exotic languages as possible, it will be greeeeeeaaaaat! Thank you in adavnce for support! 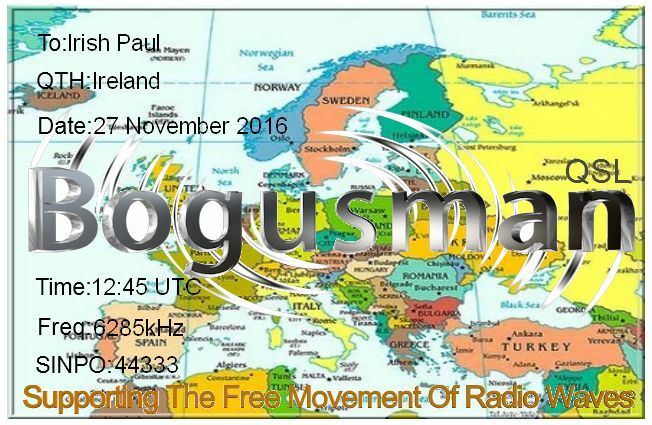 from Germany SM Radio Dessau, and Blueman Radio is one more. Surely these stations would be happy to get your reports! 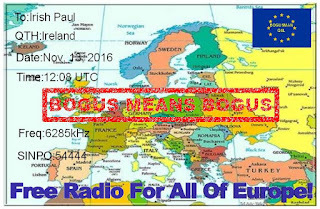 the 23rd, at 1400 CET = 1300 UTC on 6070 kHz. strong (as we hope) you receive our signal! 6210-9.30 Unid. Passenger And Leon Russell. Sinpo 33333. 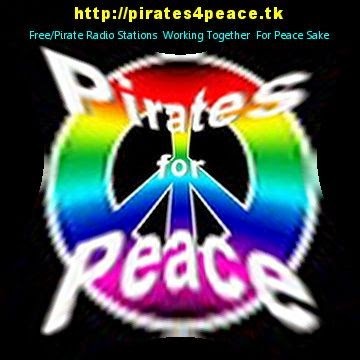 Maybe King SW.
6310-9.40 Radio Scotland International Xtc, The Clash, The Smiths And Roger Whitaker Sinpo 54444. Moved To 6305 After A While. 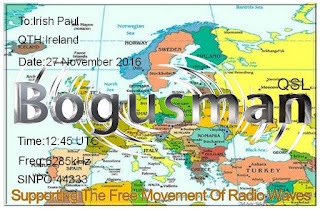 RGSW Will Broadcast This Sunday 13/11/16 On 9300 And Either 7600 Or 7685. Programs Will Start Around 10.00 Or 10.30 BWT. Many Thanks Dave For Sharing Your Loggings With Us. 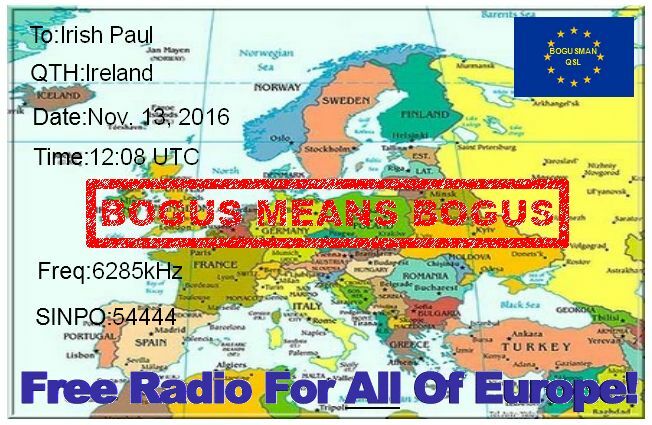 from 15.00 to 17.00 UTC on 15070 kHz (USB Mode) and from 18.00 to 22.00 UTC on 7700 kHz (USB Mode) with a power of 100 watts. Last but not least, we need your help! If you are a DX blogger, or use social networks, please post an announcement on your own blog and/or Facebook or send out a tweet. You can also forward this message to a friend. This should help increase our potential audience. 6305-16.22 Radio Merlin International. TV Themes Including Dr Who And The X Files Sinpo 43333.